S	S	cientists who are monitoring the spread of tiny pieces of plastic throughout the environment are getting help from a small army of citizen volunteers — and they’re finding bits of polymer in some of the most remote parts of North America. Crowdsourcing water samples and cataloging debris found on beaches extends the reach of researchers who are trying to assess the extent of the microplastic problem and the growing concerns about the health risks it may pose. “As much as I would love to fly around the world collecting bottled water and tap water samples, that’s not really feasible given my funding and obligations,” Sherri Mason, a chemist at the State University of New York at Fredonia who has studied plastic contamination in the Great Lakes and in water systems worldwide, told Seeker. That’s where the citizen scientists come in. A Montana-based nonprofit organization called Adventure Scientists has put outdoor enthusiasts to work in a worldwide effort to trace plastic pollution from highland waterways to the oceans. “Those are people who are getting back into the deep woods and hard-to-access places in the world,” said Katie Christiansen, the organization’s microplastics manager. Over time, this effort has produced one of the largest global datasets to date, analyzing nearly 2,700 samples over four years — including a more systematic survey of the Gallatin River watershed that includes the organization’s Bozeman headquarters. 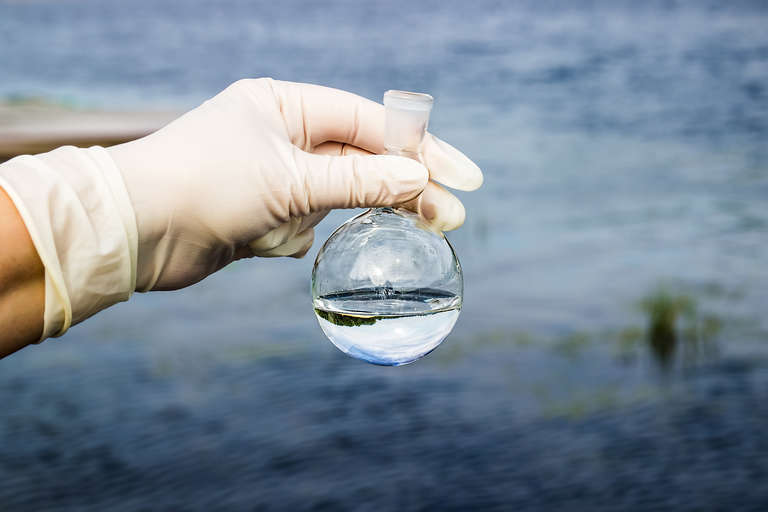 It found that 89 percent of seawater and 51 percent of freshwater samples contained plastic, mostly pieces or fibers smaller than 5 mm (3/16 of an inch). Some of the cleanest spots recorded were in the western mountains, in places like the Rockies or the Cascade Range of the Pacific Northwest. But other parts of the high country weren’t immune from tiny chips of plastic or strands of synthetic fiber. “It was surprising to find any pollution at some of these Alpine backcountry locations,” Christiansen noted. Some particles may be carried by atmospheric currents, while hikers or campers could be shedding bits of plastic or fiber from their gear. Even the Gallatin, with its headwaters in Yellowstone National Park and much of its course running through national forests, averaged about 1.2 pieces of microplastic per liter. “That’s the drinking water for people who live in this area,” she said. In a widely publicized study released in 2017, Mason and her colleagues found microplastics — nearly all of it tiny fibers — in 83 percent of tap water samples collected worldwide. A recent follow-up study found more than 9 out of 10 bottled water samples also contained plastics, much of it likely to have happened in the bottling process. The study relied heavily on volunteers who were sent instructions about how to take and send in samples. Some scientists are “kind of snobby” about citizen scientists, Mason said, “because you don’t really have control over what people are doing or how they’re doing it.” Volunteers may tend to collect water samples someplace where they already have spotted some floating plastic, for example, rather than randomly sampling a stream or river. Mason’s previous studies of the Great Lakes found levels of contamination that rival the most contaminated parts of the world’s oceans — especially in Lake Superior, the largest lake in the chain, and Lake Erie, which has the most people living on its shores. Microplastics have made it into beer brewed with water from the lakes, and from sea salt originating in the Atlantic and Pacific oceans. Mason said that the biggest source of these plastics is unintentional litter that’s accidentally left behind from single-use plastic packaging. These items “literally are used for minutes, but are made out of a material that lasts for centuries,” she said. 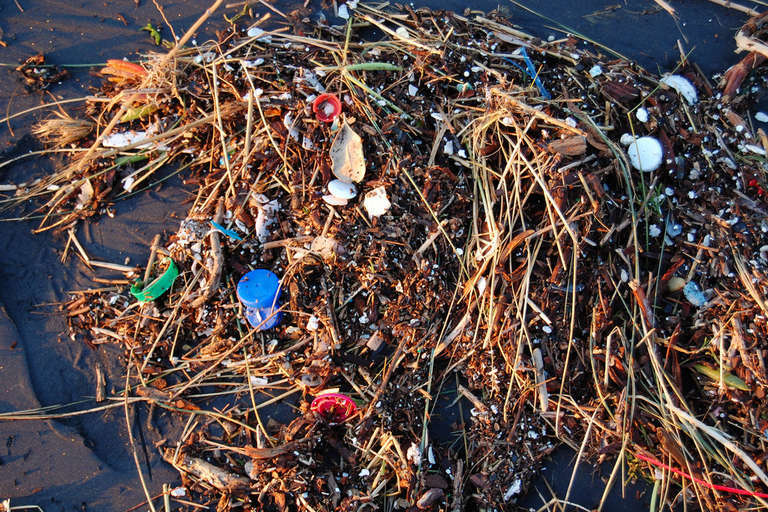 Plastics don’t decay in the environment like organic material; they just break up into smaller and smaller pieces. And those pieces are turning up in the bodies of shellfish, seabirds, and terrestrial animals like earthworms. And a small pilot study led by an Austrian researcher recently found bits of plastic in every sample of feces from the eight people from around the world who took part in it. This has raised concerns about human health as well. Harmful chemicals known as persistent organic pollutants such as dioxins, PCBs, and DDT can bind to plastics. The United Nations Food and Agriculture Organization has called the human health risk “negligible,” since people remove the digestive tracts from most fish before eating them. But some species of shellfish or small fish like sardines are eaten whole. And Dave Love, an environmental scientist at the Johns Hopkins University Center for a Livable Future in Baltimore, points out that there are many unanswered questions about microplastics. The risks may be “quite low” for people, he said, but it will take scientists some time to know that for sure — and in the meantime, they’re still harmful to wildlife like birds and turtles. “Most of the work has been done on an individual organism level, and there hasn’t been a lot of work understanding the impacts on population, such as a school of fish,” Love said. He recently co-authored a paper that laid out a list of these unanswered questions concerning the sources of microplastics, their chemical properties, how they degrade in the environment, their impact on ecosystems, and their toxicity to humans. 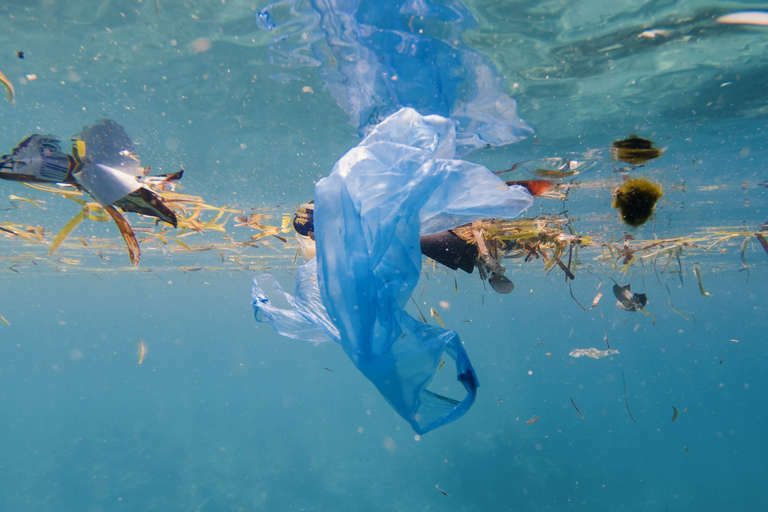 When it comes to plastics, the biggest contribution citizens can make to help mitigate the pollution crisis is to make sure that their plastic materials are properly disposed of or recycled — and to use less of it in the first place.